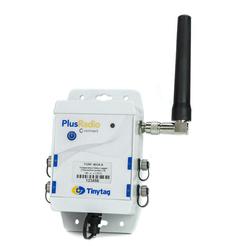 This data logger monitors temperatures from -40 to +125°C using four of the Tinytag thermistor probes. Like the data logger, the majority of our thermistor probes are waterproof and suitable for outdoor, industrial and warehousing applications. It sends information via USB or LAN receiver to the computer managing the system.